I’d like to welcome fantasy author T.C. Southwell to DJ’s Book Corner! Thank you for taking the time to come dish it up with me. Thank you for this opportunity. I really appreciate it! First question, when did you first know you wanted to be an author? It was about 24 years ago, after I finished my first series, the space opera, Slave Empire. I’ve been writing stories since I was in school, but had no ambition to have them published until I completed that series. I wrote for my own enjoyment, so I could read the stories again, as I still do. My first proper book was Prophecy, Book One of the Slave Empire series, which I wrote when I was 26. Before that, I jotted down my stories long hand in notebooks, but I don’t think I ever finished those. I still have them somewhere. The first draught of Prophecy was pretty awful, and I had to rewrite it several times to improve it. I wasn’t experienced with my method of writing back then, so I kept going off on tangents, and I had to cut all that out. I still have many books that I’ll never publish, which I wrote in those days and that really aren’t good enough. I LOVED the Queen’s Blade series. Tell us a little about it. How did you come up with such a fantastic storyline? I’m thrilled that you loved the series! That’s always so great to hear. 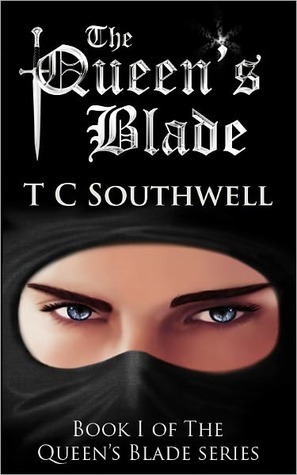 It’s about an assassin, Blade, who helps his queen fulfil a prediction that will end a centuries-old war. He becomes her personal assassin, known as the Queen’s Blade. Once he’s caught up in the machinations of two warring kingdoms whose rulers are striving to find peace, the demand for his skills increases as her enemies try to thwart her. The story just came to me as I wrote. I’ve been called a ‘channeller’, because I don’t work out the plot beforehand, or do any kind of planning. I start with a vision – in the case of The Queen’s Blade, it was of a young queen trying to save her people from war – and then I just follow the story, which is a bit like watching a film in my mind. I thought the Queen was going to be the main character, but then Blade sauntered in and took over. The main character, Blade, was just amazing. Sum him up in three words. Ruthless, lying killer. He’s an extremely complicated character, but I’d have to say those are his most obvious traits. He has many others, though. If Queen’s Blade were a movie, what would be the perfect first song on the soundtrack? I think that would be Hurricane, by Thirty Seconds to Mars. The words are quite fitting. *DJ* I LOVE 30 Seconds to Mars, and this is one of my fave songs on their last album! What do you like best about writing fantasy? Science fiction? The escapism. Exploring a fantasy or sci-fi world is a great adventure for me. I share in the strange and sometimes magical lives of the characters and their other-worldly exploits. It’s like being able to cross over into their world while I’m writing, as an onlooker who is also privy to the thoughts of whichever character I’m channelling at the time. It’s even better than watching a film, because it includes sensations and emotions. With fantasy, there’s the wonder of magic and magical beasts, and in science fiction, I explore a universe, sometimes familiar, other times alien, where I visit strange new worlds and meet the most interesting people. A publisher tells you they would love to release The Queen’s Blade, but only if you rewrite it for a much younger audience, making Blade a teenaged assassin. What do you tell them? Apart from the fact that I can’t change what I’ve channeled, it would be impossible for Blade to have acquired the skills of a master assassin at such a young age. Even though he becomes an assassin at 18, he’d be too inexperienced to succeed at the more difficult assignments he had to achieve. Having him so proficient as a teenager would be unbelievable, in my opinion, and the long gap between Invisible Assassin and Sacred Knight of the Veil would also make it impossible. You have written many other series besides the Queen’s Blade. Which one is your favorite and why? The Queen’s Blade is my favourite, I think because it evokes a lot of emotions, and is one of the most gripping, but also because Blade is my favourite character. I never tire of his adventures, chuckling at his antics and cutting remarks, and sharing his heart-rending tribulations. I can only write when I have a channel, and then my writing schedule depends on my everyday obligations. If I don’t have any, I’ll write from the time I wake up, pretty much, until the channel for the day runs out. I only stop for meals, potty breaks and coffee-making trips, and by the time the daily ‘download’ is complete, it’s well past my bedtime again. This means I end up being nocturnal, which helps, because it’s nice and quiet at night. When I’m writing, I’m not aware of time passing, and I don’t feel the least bit tired until I stop. My longest stint was 14 hours. I do. Distractions break my link with the channel, and then I have to read a page or two that I’ve just written to get ‘hooked in’ again. I always have music playing while I’m writing, but I don’t listen to it. It’s just there in the background, and I only become aware of it when I take a break. I can write in silence, but then any little noise disturbs me, so the music is mostly to block out other distractions. My three top authors are C. S. Lewis, J. R. R. Tolkien and Stephen R. Donaldson. My favourite series is The Chronicles of Thomas Covenant by Stephen R. Donaldson. His books totally sucked me into his world, as did C. S. Lewis’ Narnia series, which I read as a child. The best compliment is when a reader has read a series multiple times – as many as five or six – and suffered sleep deprivation each time, because they couldn’t put the books down. I reckon I’m cat kin, but nothing as impressive as a sand cat or even a wood cat. I think my familiar would be a humble house cat, independent and stubborn, but loving comfort and affection. You’re most welcome! Thank you for asking such interesting questions. I really enjoyed answering them. Book One FREE on Amazon and Barnes&Noble! T. C. Southwell was born in Sri Lanka and moved to the Seychelles with her family when she was a baby. She spent her formative years exploring the islands – mostly alone. Naturally, her imagination flourished and she developed a keen love of other worlds. The family travelled through Europe and Africa and, after the death of her father, settled in South Africa. T. C. Southwell started writing stories at school, filling many notebooks with tales penned in longhand. She has now written over thirty fantasy and sci-fi novels and five screenplays. Her hobbies include motorcycling, writing, reading and art, and she earns a living in the IT industry. She created all the images on this website and designed and created all the covers of her books. A confirmed bachelorette, she has never married and lives alone in Cape Town, spending most of her time at her PC, writing, editing and creating digital art for her book covers. 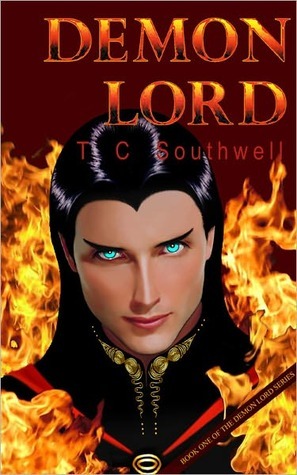 After several unsuccessful attempts at finding a publisher, Demon Lord was published in South Africa in 2006, but, due to poor publicity and subsequent abysmal sales, the sequel, Dark God, was never published. In 2010 she gave up trying to find a mainstream publisher and took the independent route via e-books on the internet. Since then, she has published thirty-one e-books in five series, and plans to write many more.